This is a very sweet Victorian Lily of the Valley Tussy Mussy! Whenever I post a spooky image earlier in the day, I feel like I owe you guys something pretty, since not everyone likes the creepy stuff. So here’s your pretty graphic for the day!! I love the Lace edge on this one, and the lovely Lavender Ribbon. 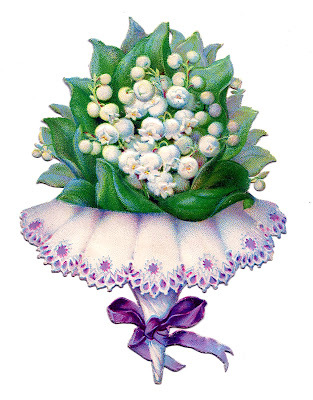 Vintage Floral Embroidery Pattern! 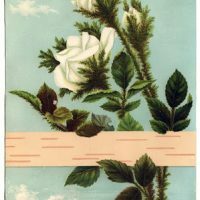 Antique Image – White Roses with Birch Bark Vintage Magnolia Flower Printable! What a beautiful image… thank you! So pretty! Thanks for sharing! Now I need to start making something with your beautiful images.